Residents joined the battle to try to contain a wildfire burning in Oklahoma Monday. 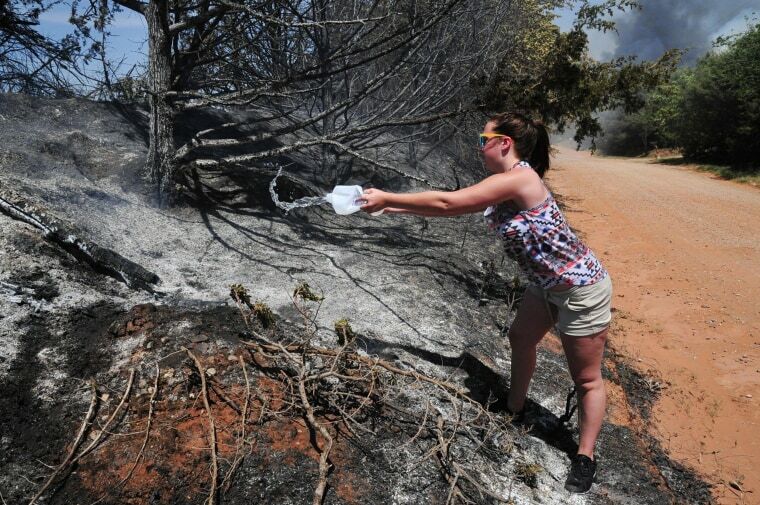 Myka Burton poured water on roadside hot spots in Guthrie, Okla. "I'm doing anything I can to help," said Burton. Firefighters continued working Monday to battle a 4,000-acre blaze that has forced more than 1,000 people to evacuate and left one person dead, according to officials. The fire started after a controlled burn spread out of control.